Submental liposuction refers to the removal of fat from the neck, in the region underneath the chin. This procedure is performed to provide a crisper and cleaner jawline and neck. It is commonly performed as a stand-alone procedure though it can complement other surgeries such as facelift, chin augmentation and fat transfer very well. Your liposuction consultation with Dr. Mehta will last approximately one hour. Dr. Mehta will begin by asking you what exactly bothers you about your appearance and what improvements you would like to achieve. There are numerous nonsurgical treatments that Dr. Mehta utilizes extensively, including Botox and Dysport, injectable fillers, laser/intense pulsed light treatments, and peels. If you are a candidate for any of these treatments in lieu of or in addition to surgery, he will discuss these with you as well. This discussion is followed by a thorough examination of your face and neck. Following the examination, Dr. Mehta will photograph your face from several different angles. The operating room nurse will meet with you first to go over your instructions in detail. The procedure is generally done under local anesthesia with mild sedation, either with medications given by mouth or through an IV. If additional procedures are being performed requiring deeper anesthesia, you would meet your anesthesiologist, who will have carefully reviewed your medical and surgical history. You will have the opportunity to ask the anesthesiologist any questions you may have at this time. Finally, Dr. Mehta will meet you and your friends/family to answer any last minute questions as well. After local anesthesia and sedation are administered, the surgery is begun by creating two tiny (2-4 mm) incisions under the chin. Using a blunt liposuction cannula, the fat is gently removed from the neck. The neck is repeatedly palpated to ensure an even and thorough fat removal. 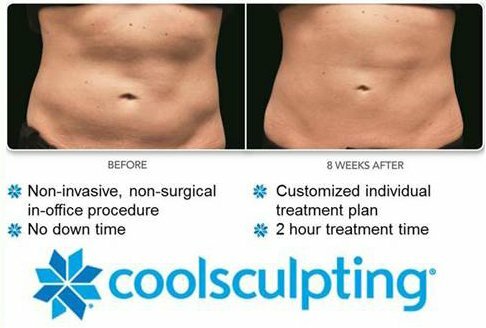 Once enough fat has been removed to achieve the desired effect, the incisions are closed with one or two sutures. A compressive head and neck dressing is then applied, to hold pressure on the neck during the recovery process. After approximately two hours in the recovery room, you will be discharged home, in the care of a responsible adult for the first night. Your friend or family member will help ice your neck, assist with your pain medications, and help you with your normal daily activities. You will sleep with your head elevated at 30-45 degrees. At this time, you will begin taking your prescribed medications as well as the Arnica Montana and bromelain. Eating fruits such as pineapple and papaya are encouraged as well, as they are thought to help minimize bruising. You will return to the office the following morning to be seen by Dr. Mehta. He will remove your compressive dressing wrap, check your neck and go over your instructions in detail. The compressive wrap is reapplied, to be worn as much as possible over the subsequent week. Over the first 48-72 hours some patients develop mild bruising and swelling around the neck, though pain and discomfort are usually mild. Patients are up and around the same day as their surgery and usually Tylenol provides enough pain relief. Prescription pain medication, such as hydrocodone, is also prescribed, just in case. Often patients will work from home though most avoid work or social situations for around a week. Your next visit will be 6-7 days after surgery, to check your progress and remove sutures. Your neck may be mildly swollen and bruised at this time, though this can usually be covered with makeup. The majority of the swelling and bruising disappears over the subsequent few days. On average, patients return to work at 8-10 days after surgery though this certainly varies depending on one’s degree of bruising/swelling and comfort level. The next visit will be at 3 weeks, followed by every 3 months until the one-year mark. The final “after” photographs are taken at this one year follow-up visit. Liposuction under the chin is an excellent technique to achieve a cleaner and more well-defined neckline. The procedure has a brief recovery period with minimal discomfort. If you have any additional questions or would like to schedule a consultation, please contact us.